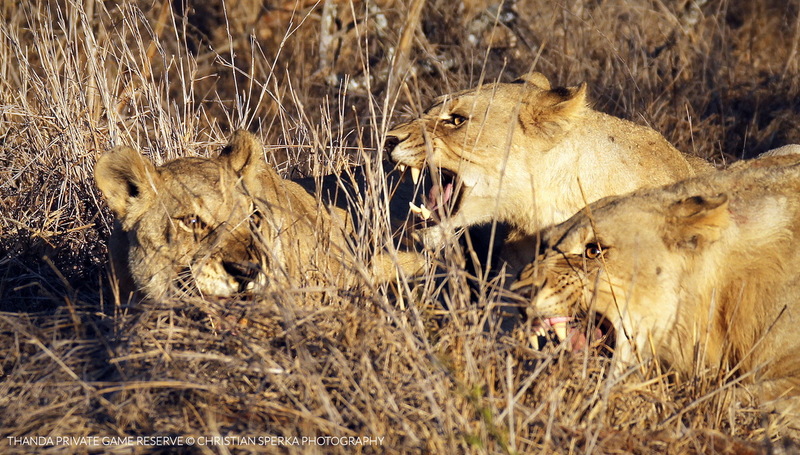 This picture shows Thanda’s South Pride (A mother with her daughter and her son) growling at Thanda’s dominant male Lion. In the last few days, the big male has been spotted on various occasions trying to get close to the pride. But the adult female does not want him anwhere around her off-spring. As he is not the father of these cubs, she is extremely protective of them. 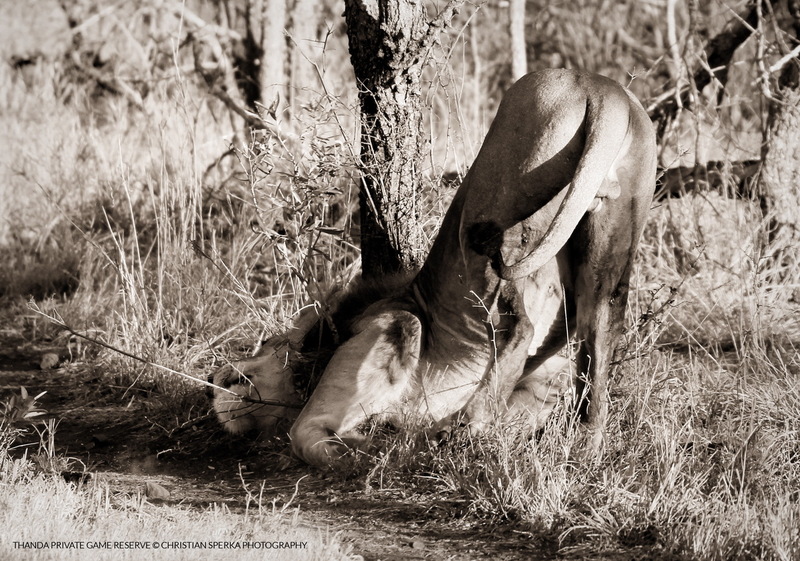 … The dominant male scent-marking a tree as he trails the pride. … The young female is bird-watching as her brother is working on the morning-cleaning-routine. 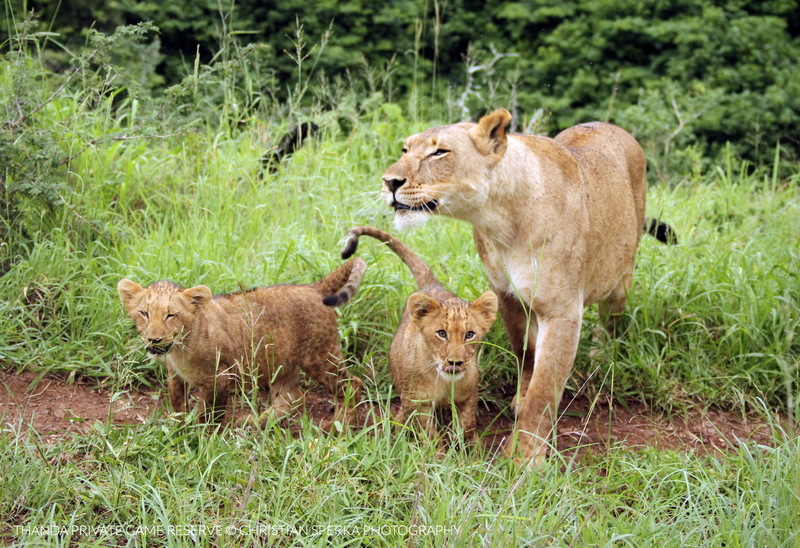 … And a bit of history: The mum with he two little ones in November 2012, when they were just a few weeks old. Hope the mom is able to keep the kids safe. They all look fat and healthy. Great images, as always, Christian. 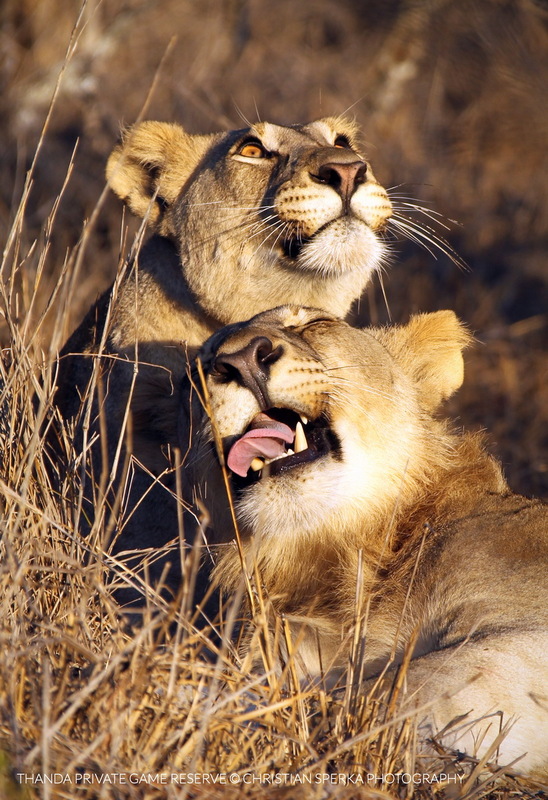 With the killing of Cecil, the news was reporting that any cubs not sired by him would be killed by the new dominant male of the pride. As evidenced by your photos, I imagine that is not always their fate. I also wonder how the new dominant male knows that these are not his offspring? Can they tell by smell or sight or some other means to distinguish between his genetic line or not?